All managers get things done through people, the question is how. Connect. Traditional managers believe business is relationships, except when it comes to their own team. Coaching-managers make work personal. Traditional managers use distance to instill fear. Choose many short interactions that make others feel powerful. Traditional managers call big, long meetings that make themselves feel powerful. Nurture curiosity. The difference between top down management and coaching management is an open mind. Define specific wins. Traditional managers push for “more” and “better.” Coaching-managers ask, what, specifically, can we do today? If you can’t see it being done, it doesn’t matter. Ignite energy. Traditional managers sap the life out of people. Coaching-managers help others find their spark. Success requires focused energy. The main source of energy is finding things you can do, rather than talking about things you can’t. Focus on people. Traditional managers focus on projects. Coaching-managers let the people doing the work – focus on getting things done. 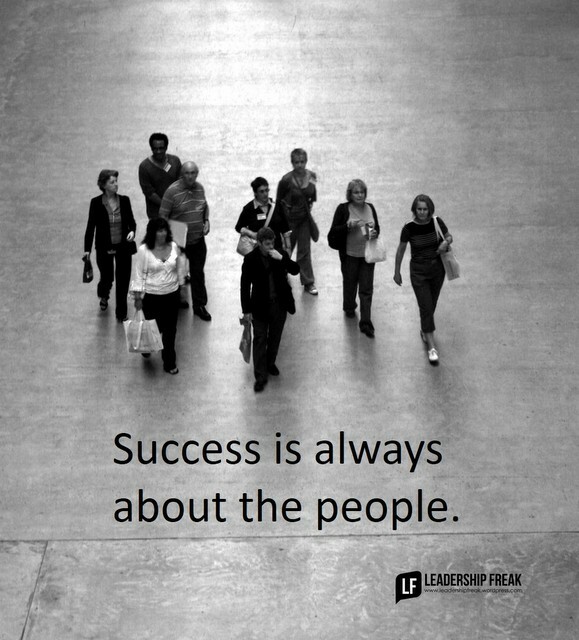 Success is always about people. Maximize strength and capacity. Traditional managers arrogantly believe they can fix people. Bonus: Coaching-managers add “s” to words. What option(s) or solution(s) might we try? Traditional managers know the “right” thing to do. Give authority vs. take authority. Value people vs. value position. Enjoy the process vs. stress over control. Give abundant feedback vs. give instructions. Invite and welcome feedback vs. doesn’t care what others think. Try stuff vs. fear failure and need perfection. Build on success vs. constantly solve problems. What’s working? How can we do more of that? What behavior is most important for coaching-managers? What would change if organizations chose a coaching-management style? Great stuff as always, Dan. I especially like the one “Choose many short interactions”. The impromptu stop-by (aka “manage (coach) by walking around”) shows the team how much you value them. If you only wait for them to come to you or have a formal meeting, you send the wrong message. Thanks Ben. “MBWA” is a fabulous way to have many short conversations. Thanks for making the connection. And to clarify, MBWA is not just MBWA or a drive by, queen’s wave and move on.It’s truly being there and hearing the challenges and successes. And if the challenge is one that the coach/manager can resolve, do it. I have to say, I did twitch just a little with the impromptu wording…there is value in ‘being there’ where the true work is being done at a regular cadence. That leads to dependability and true engagement by all. Traditional managers focus on getting things done. They are the boss, the leader, the project sponsor, the quarterback and everyone else helps THEM get the things done. They are “in the work”, or “in the way” from a different perspective. Coaching managers focus on helping others get the things done. They are “out of the work” and clearing the way; off to the side encouraging people, guiding them, coaching them. They help THEM, not themselves. The things still get done. The difference is the entire team is now more engaged and are even better equipped to get even more things done. Thanks Alf. “In the way” vs. “Out of the way” KaChing!! Thanks Emily. It’s so easy to forget the reason we started the journey in the first place. Enjoy! Coupled with #3 of ways things get done the term ‘appreciative inquiry’ seems aligned. Really having positive regard and appreciation…and wonder (curiosity) at how something was done. Savvy coaches then find ways to transfer those learnings to other areas of their work, of course giving props to the originators who came up with the ideas. That can have an excellent positive spiraling effect. Finally Dan, your #5 Ignite energy…really like that one. Coaches are kindlers….or kindling. They share their own sparks (energizers and energy) easily. “finding things you can do” or ‘what we could become’ can coalesce all sorts of positive energy. Thanks Doc. Great seeing you here today. The expression, “celebrate that effort” means so much to me. It’s great to celebrate results. It’s an entirely different thing to celebrate the effort it took to produce them. We need to do both. But, when things fall short, celebrating effort gives people courage to keep trying. On energy: These days, I’m constantly thinking about energy…monitor, manage, and ignite. When you see it, fuel it! When it’s missing, as you say, kindle it. Everything that gets done takes energy. Without it, nothing gets done. I have had the opportunity to work for both. There is both strength and weakness in both these styles. Plow forward….go forward. The key difference is buy in, moral and feeling that each employee is a valuable part of success. Many times the work goes faster and a better end product is the result. Sometimes you need the traditional manager to kick start a project or change an environment. I have found that this only works on short term projects in a positive way. I choose to look long term and therefore develop people. The verse “give a man a fish vs teach a man to fish” apply here. Thanks Doug. I’m glad you added the idea that there’s a place for coaching and a place for traditional management, activities like directing, for example. Situations and organizational culture are the two top considerations when choosing which style to adopt. My priority is developing a coaching culture where directing and controlling are used less and coaching is used more. Thanks Dan for your valuable input.however I think traditional managers should be reviewed by the top management if they are not working properly the managent must be there to hold them responsible for the things not getting done rather than blaming the people working under him.A team performs well if the captain himself is a performer. I always think it’s important to focus on inter company networking by doing things like MBWA. People always focus on networking to get clients or create new relationships but part of networking is managing and empowering your already existing network. You’re not kidding. Those long, bloviating Monday morning staff meetings where a particular manager at the head of the table always had the first word, the last word, and most of the talking in between. At the end, as we would go around the table with our reports, each report was followed by more manager bloviation. It was a painful weekly energy drain.